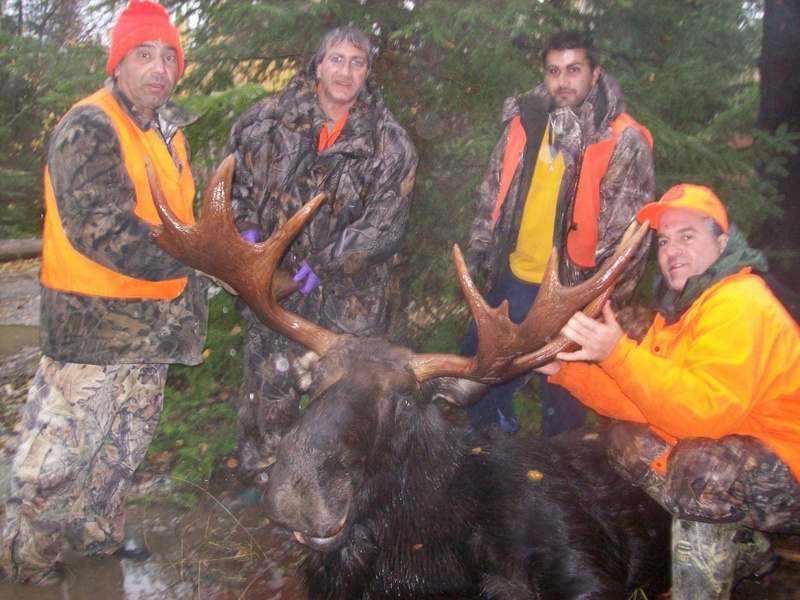 Canadian Moose are one of the most prized North American Trophy animals. 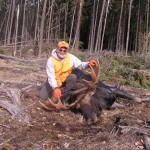 The moose is the largest member of the deer family. 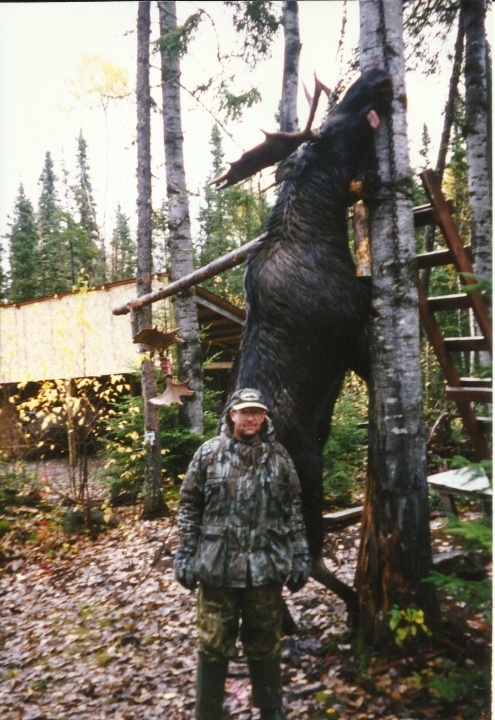 The Canadian Moose can weigh upwards of 1500 lbs., stand 8 feet tall, support a rack 5 feet wide and still be able to slip effortlessly through the forest without a sound. 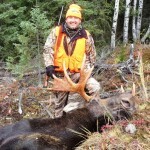 A moose hunt in Northwestern Ontario will have your adrenaline pumping! 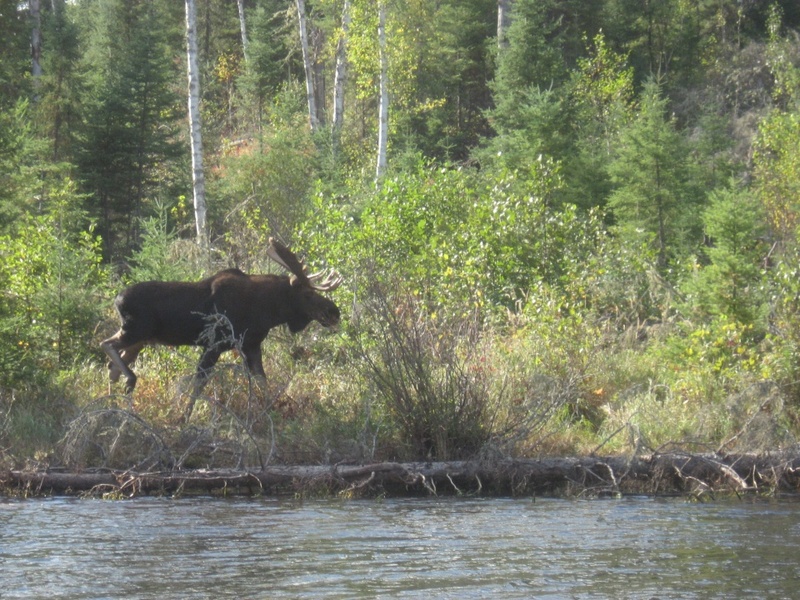 Woman River Camp’s remote location in Northwestern Ontario, Canada is ideal for moose hunting. 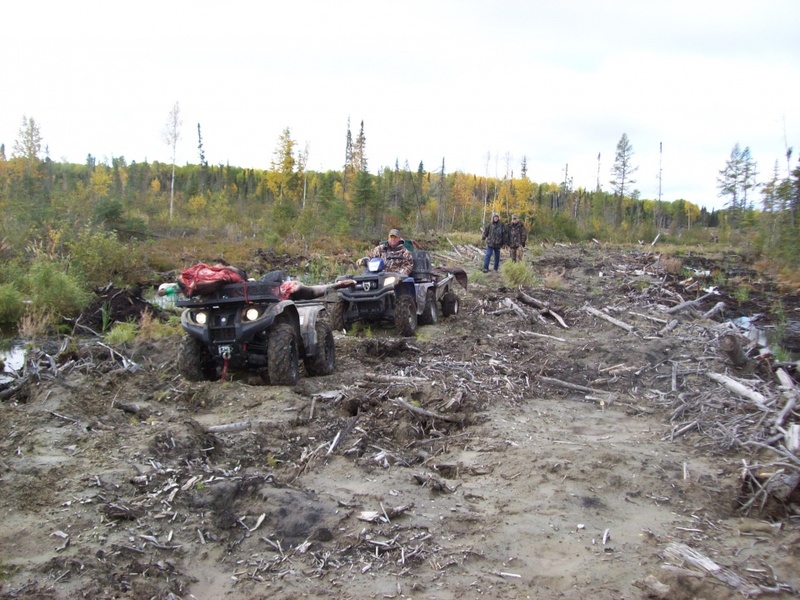 Hundreds of kilometres of game trails, abandon logging roads inter-twine new clear cuts and old growth forest along with ponds, rivers and swamps. 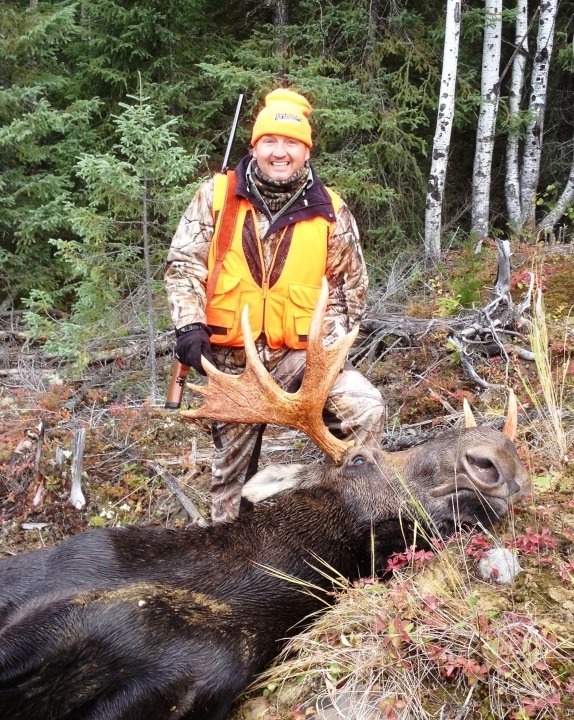 This is the perfect habitat for the majestic moose to thrive and produce trophy class racks! 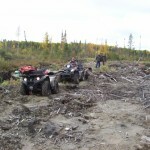 Our area has one of the densest populations of moose in Northwestern Ontario. 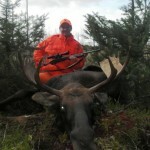 Are you ready to experience a Canadian Moose Hunt? 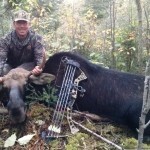 Archery hunting is my favourite. 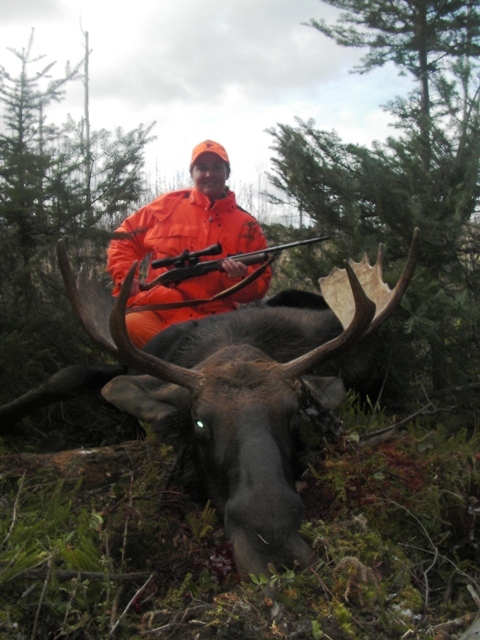 There is nothing more exhilarating than calling in a bull moose to within 40 yards! Some days they almost step on you. 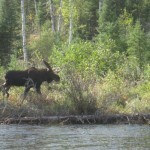 Calling on calm days can have moose replying from miles away and then all of a sudden show up unannounced! 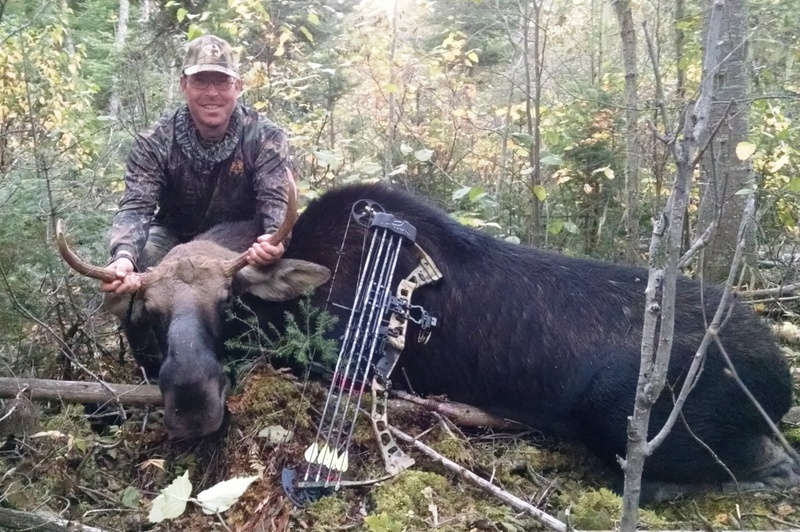 Most often larger bulls are harvested as the archery season coincides with the rut and the dominant bulls are eager for as much “action” as possible. 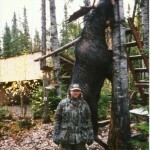 Luring the animal within shooting range without being winded by a moose’s monstrous nose is the biggest challenge. 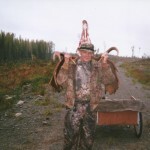 Our hunters have harvested many Pope and Young moose. With the largest scoring second on the Ontario all-time list! 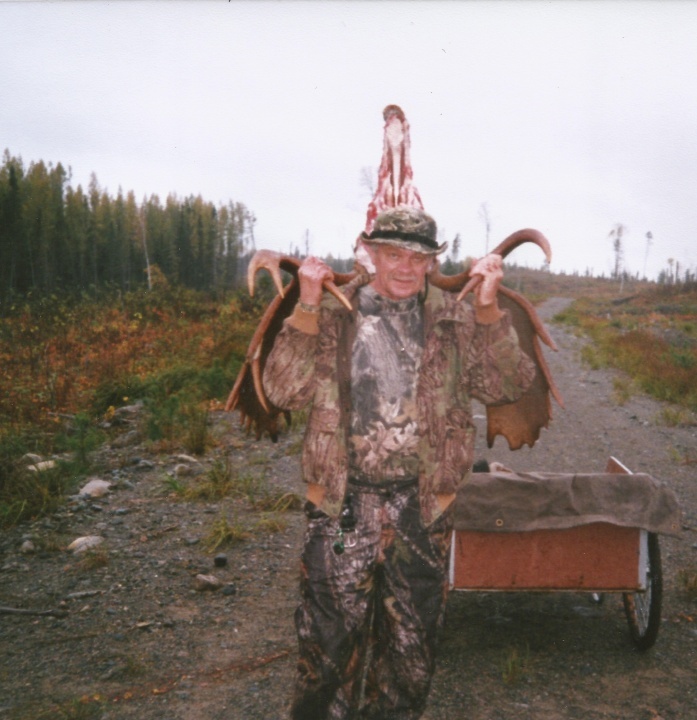 Moose hunting during the rifle season uses quite a few different techniques than the archery hunt. 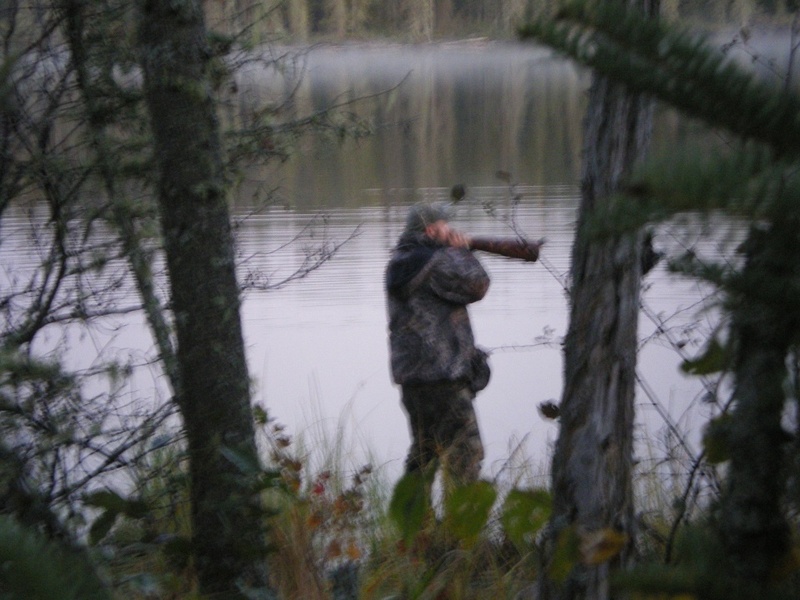 While calling is still a valuable tactic, we utilize glassing clear cuts, conducting drives, and hunting over known trails to put hunters on animals. You can still get up close and personal with these big swamp donkeys and you still need to pay attention to the wind and your movement. 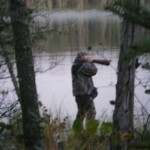 Lots of patience and sitting is involved with moose hunting. • Moose eyes are independent of each other. 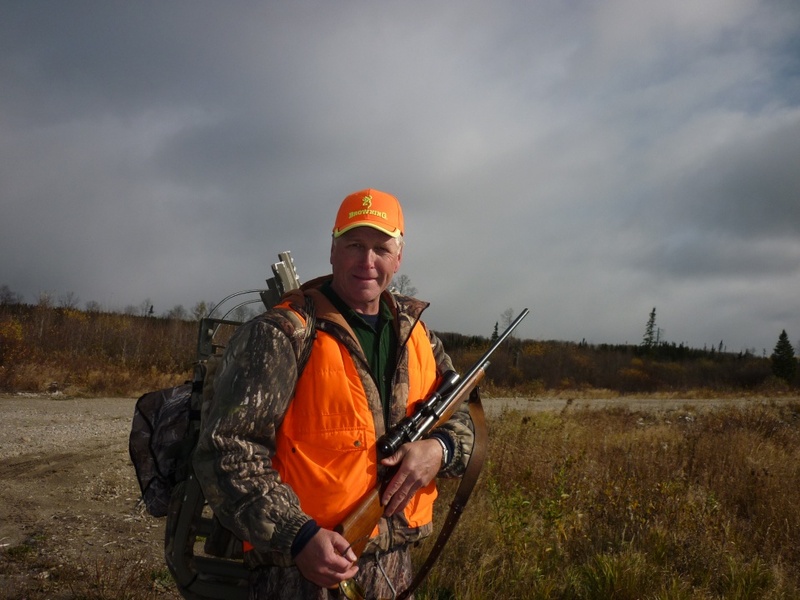 Our hunts are very flexible and can be customized. 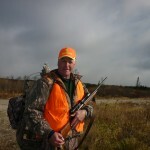 They are designed for either a “do it yourself hunt” or guided. 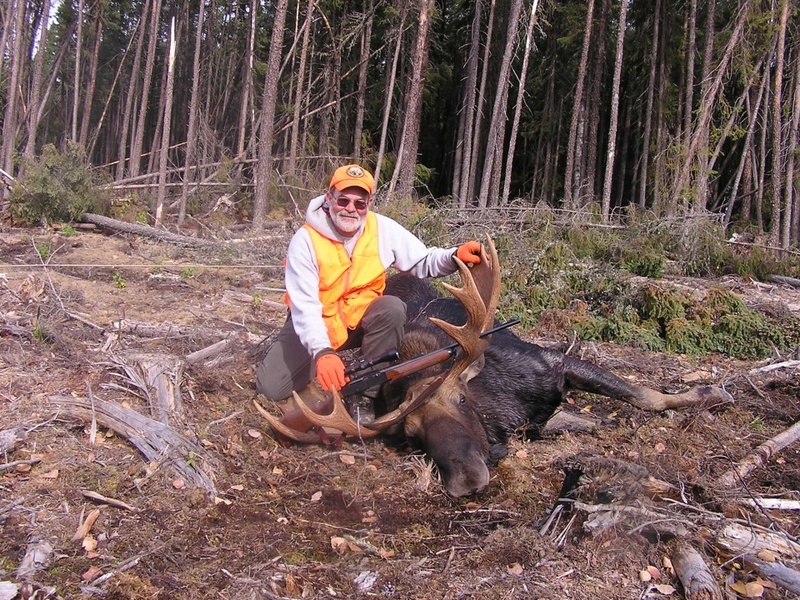 While there is something to be said for harvesting a magnificent Moose on your own, we do recommend using an experienced guide. and an experience of a life time for so few. 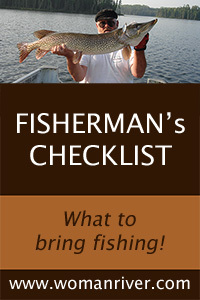 Book your hunt today!